After pre-booking, be sure to bring the booking reference and number to redeem this benefit at the attraction. Strictly no amendment once the booking is confirmed. The Etihad Museum is not to be missed as inspires its visitors with the story of the founding of the UAE. The museum is located at the very place where UAE was founded in 1971. Learn about the nation’s constitution, rights, privileges and responsibilities that it places on its people. Visitors will experience a unique journey through various pavilions and exhibitions. You’ll visit the Library, Temporary Exhibition Hall, Department of Education, Multipurpose Hall and restaurants. 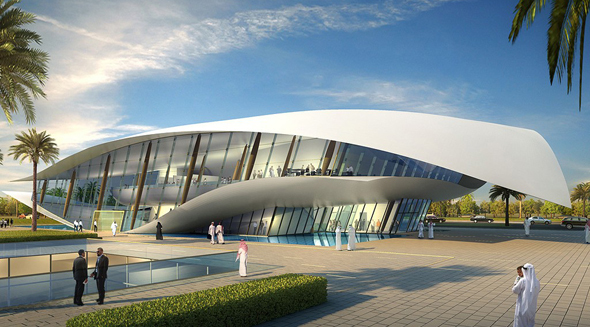 Being 25,000 square metres, the Etihad Museum has so much to explore. The library is something that you don’t want to miss out on. It is the home to more than 3,000 social and historical books. Talk a walk through the Exhibition Hall and experience temporary exhibitions that you can’t always see at the museum. Be sure to visit the Multipurpose Hall that is a large hall that will fit up to a 100 people. Here you can find various activities, seminars, workshops, conferences and exhibitions. There is also a restaurant on the upper floor and a café on the lower floor to ensure you aren’t exploring the museum on an empty stomach. The museum is easy to navigate and helpful staff can assist with your journey. Make it a day and enjoy lunch in one of the restaurants and cafes. It is a great place to visit when it is too hot outside. Alternatively, visiting in the evening is also recommended as you can enjoy the use of lights around the museum and have plenty of time to explore the museum at your leisure with fewer crowds. RTA bus or taxi are the most convenient way to get to the museum.